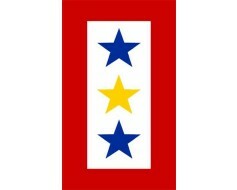 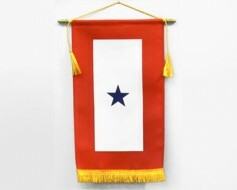 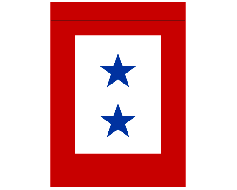 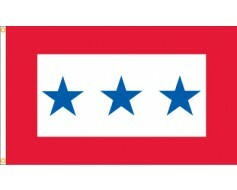 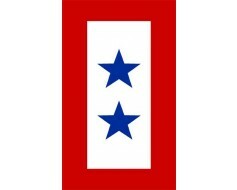 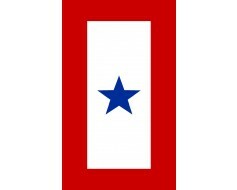 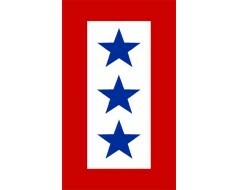 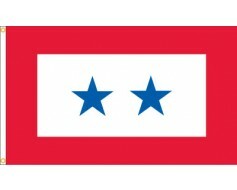 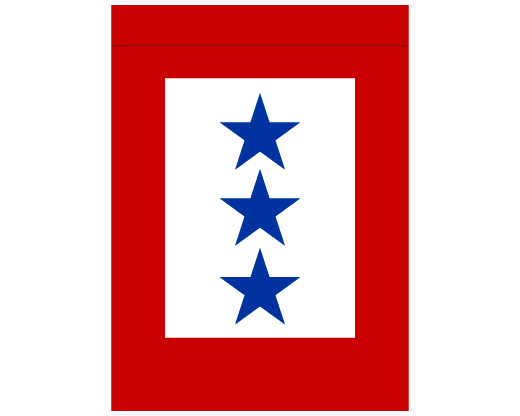 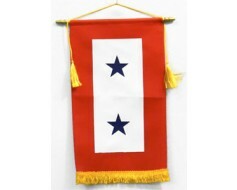 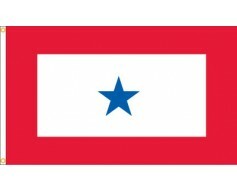 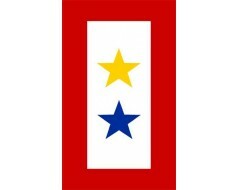 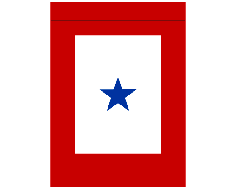 Three blue stars, service star banner. 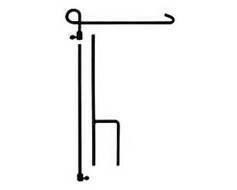 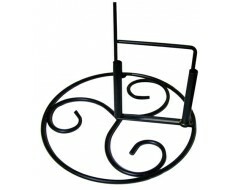 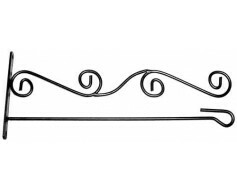 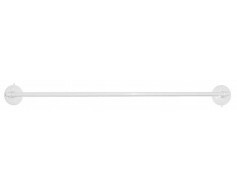 Signifies three family members serving in the United States military. 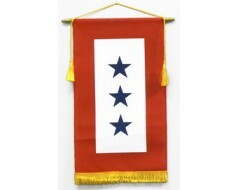 This shows that this family has 3 family members deployed.